, a process for harvesting value from corporate R&D investments that no longer fit. The goal of streamlining corporate open innovation for the investor led directly the creation of seedsprint. In addition to using his six languages, Jon has a soft spot for the sciences and emerging technologies. 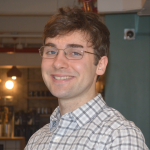 Jon holds an MBA from NYU Stern and a BS in languages and linguistics from Georgetown. seedsprint members and subscribers engage in efficient searches and productive conversation. 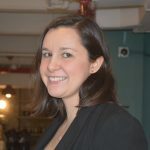 Before joining seedsprint, Aviva spent six years as a financial adviser with Merrill Lynch in New York, where she managed investment portfolios for families, endowments, and institutions. Aviva is a Chartered Financial Analyst® and has a BA in English from Dartmouth College. and an MS in Neuroscience from Albert Einstein College of Medicine. Sarah worked in Neuroscience research and outreach for 8 years before pivoting to a marketing-focused role through which she began applying her deep understanding of human behavior and user analytics to help companies grow. 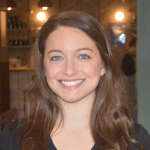 Sarah is passionate about innovation and technology within the neuroscience, education, and food industries. Sarah worked in neuroscience research and outreach for 8 years before pivoting to a marketing-focused role through which she began applying her deep understanding of human behavior and user analytics to help companies grow. Sarah has a BA in Biomedical Sciences and History of Science from Columbia University and an MS in Neuroscience from Albert Einstein College of Medicine. employs undergraduate STEM majors to research emerging technologies and dialogue with startups teams. Though passionate about national and corporate innovation strategy, he finds some time to write fiction, run competitively, and compose and perform pop music. Patrick has a BS in Biological Physics from Georgetown University, whose Institute for Soft Matter guided his research in sustainability- and technology-themed activities. with a global reach. He joined Solvay in 1981. Starting in catalyst research, he successively lead different R&D entities of the group – polyethylene, high performance materials, global polyolefin’s research – before being appointed New Business Development Director in 2000. From 2004 to 2011, he held the Solvay seat at the Advisory Boards of three Venture Funds (Pangaea II, Canada – Conduit Ventures Ltd, UK – KAM, Korea) and was an active Board member of a start-up in the field of printed electronics (Plextronics – Pittsburgh, USA) and of Solvicore (Hanau, Germany), a JV between Umicore and Solvay for the development of Fuel Cells Materials. He is Honorary President of EIRMA (European Industrial Research Management Association) where he served, from 2008 to 2013 as President of the Governing Board. 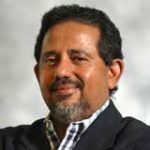 From 2009 to 2014, he joined the Advisory Boards of Georgia Tech (Atlanta, USA), CEA-PFNC (Grenoble, France), and the Manchester Business School (UK). In 2009, Dr. Demiddeleer was appointed member of the Belgian Royal Academy for the Section Technology and Society. He currently teaches “Industrial Chemical Innovation“ at Brussels University, works with Georgia Tech as a Director for Development in Europe and Chairs the Board of McPhy Energy (Grenoble, France). with Hueschen & Sage. Adda is an intellectual property expert in multiple industry verticals, with clients ranging from Fortune 500 enterprises to startups, along with growth companies, and academic and research institutions. Her deep experience in pharmaceuticals, biotech, diagnostics, food, and fine chemicals brings powerful insights to clients in formulating or adjusting global IP strategies. Seasoned at drafting and negotiating complex licensing agreements, developing patent prosecution strategies, and guiding patent portfolio architecture, Adda also litigates disputes for clients both in administrative and alternative resolution forums. Clients benefit from Adda’s long-standing expertise in patent extension, including orange book listing, lifecycle strategies and Paragraph IV challenges. Among Adda’s prominent specialties are exculpatory and pre-assertion legal opinions on patents for biomolecules, pharmaceuticals/NMEs, and diagnostics. Adda has represented: AutoImmune, ContraFect, Forest Labs, Institut de Myologie, Novartis, Novozymes, Purdue Frederic, NYU, Recordati, Sandoz, UPM-Kymmene, Zoetis and Sloan Kettering among many others. Published writer and active speaker on IP matters in the US and overseas, Adda holds Chemical Engineering and JD degrees from Cornell University. A world traveler, Adda is used to the road. Even when home, you may find Adda cycling daily to and from her Manhattan office. Pradeep has extensive experience in strategic planning, technology commercialization, market analysis and validation, research and development, product and engineering management in energy, medical devices, and nanotechnology industry sectors. 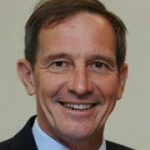 He has advised emerging technology teams on strategies for manufacturing scale-up, commercial development and industry partnership opportunities, with companies such as Inverters Unlimited Inc., Earthrise Capital, Interlachen Capital Group, Magnolia, BESS Tech, Eonix, Glauconix, Lux Semiconductor, Dais Analytic, among others. Dr. Haldar serves as Vice President of Entrepreneurship, Innovation and Clean Energy Programs at SUNY, is former Interim dean of SUNY Poly’s College of Nanoscale Engineering and Technology Innovation, and former Chief Operating and Technical Officer of the U.S. Photovoltaic Manufacturing Consortium (USPVMC) – a partnership with SEMATECH. He led the spin-out of multiple technologies and companies at SUNY. Prior to joining SUNY, Dr. Haldar founded and served as General Manager and Director of Technology, of SuperPower, a start-up, that was spun out of Intermagnetics General. Pradeep earned his Ph.D. in Materials Engineering & Solid State Chemistry from Northeastern University and has an MBA from Rensselaer Polytechnic Institute. Princeton-in-Asia. From 1998-2006, Steve worked for GE Capital. During his time with GE, Steve led GE Capital’s business development activities in China and Asia Pacific, primarily acquisitions and direct investments. Prior to GE, Steve worked with the Boston Consulting Group throughout Asia. Steve was also a commercial banker for ten years in London, Chicago, New York, Hong Kong and Beijing with Chase Manhattan Bank and First National Bank of Chicago. His career began with the US-China Business Council, in Washington D.C. and Beijing. Steve holds an MBA from Columbia University, an M.A. in International Affairs from Johns Hopkins SAIS, and a B.A. in East Asian Studies from Princeton University. He lived and worked in Asia for over sixteen years, including China, Singapore, Hong Kong, Taiwan, and Thailand. Besides his native English, Steve is fluent in Chinese and conversant in Japanese and French.Steve lives with his wife, Veronique, and three children in suburban Chicago. 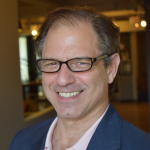 ALAN NAIDOFF is the Founder and President of InnovationAdventure, LLC, an independent consulting firm in the life sciences and pharmaceutical industries, on the broad transformation of ideas into economic and product realities via transactional excellence. 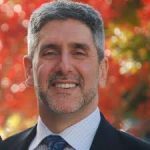 Since launching his consulting practice, Dr. Naidoff has also served as a Corporate Engagement Officer at the Office of the Dean for Research at Princeton University. 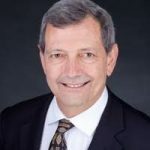 Before consulting, Dr. Naidoff was the Site Lead and Director of Research Contracts Management at Merck Sharpe & Dohme, where he worked for 15 years in their Departments of External Scientific Affairs and Business Development and Licensing. Dr. Naidoff earned a JD with an emphasis on Health Law from Widener University School of Law, a DMD from Temple University School of Dentistry and a BS in Biology from Cook College – Rutgers University, He also attended a multi-disciplinary two-year hospital residency program combining general dental practice, internal medicine, oral/maxillofacial surgery and pathology at the Medical College of Pennsylvania. AG/Frankfurt, a large diversified chemical group manufacturing a wide range of basic and specialty chemicals including agrochemicals and pharmaceutical. He was delegated as Director R&D to Mulund/Bombay/India for several years. Subsequently he was responsible as Director for Fine and Intermediate Chemicals before he took over the worldwide Corporate R&D function of the Hoechst Group. He then moved to Lonza / Switzerland where he served as Dty.CEO and CSO for several years. He was Co Founder and Board Member of a Management Buyout, AllessaChemie in Frankfurt Fechenheim/Germany. In his last assignment he build the contract R&D organization Acoris in Pune/India. Dr. Rupp served on the board of several start up companies e.g. Uniax, Vaperma and CBrite and presently is Director in Deepak Nitrite Ltd. , a manufacturer of basic, fine and intermediate as well as performance chemicals, headquartered in Vadodera/India.